Recently a received a question that I thought I would know but as it turns out – I did not. As many of you may know, the last communication between the Hawaii Clipper and a PAA radio control station in located in the Philippines ended with the term “Rain Static”. 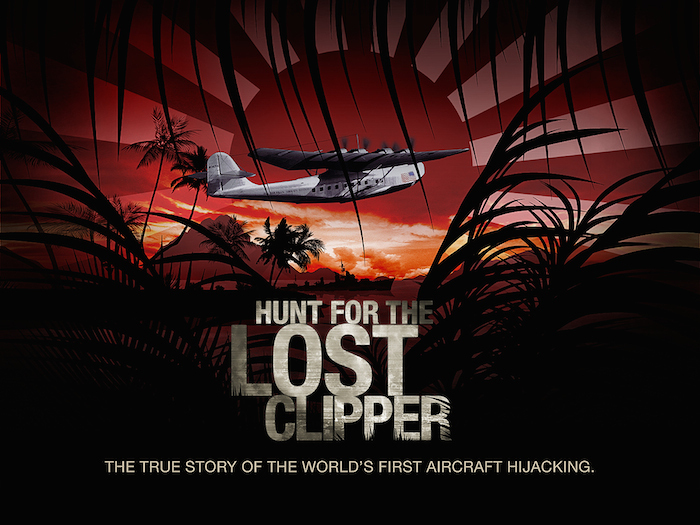 So what does that mean exactly and how does it matter to the mystery of the Hawaii Clipper? In 1938, it was documented by the FBI investigation that the final entry on the Clippers’ Radio Log was a “matter-of-fact report of position, altitude, speed, weather observation…” which led the agents and Pan Am officials “to believe the disaster – if there was one – came without warning.” Further more “Pan Am crews and officials pointed out, have strict orders to instantly report any mechanical trouble, leading them to believe the operator would have shouted a few hasty words into his wireless telephone had engine or structural failure brought the aircraft down”. In the November 25th, 1938 CAA Report on page 2 states that 0400 GCT position report was filed at 0403 by Captain Terletzky and completed at 0411. As soon as the transmission was completed, the ground operator advised he had a weather sequence to transmit. The aircraft advised that he was experiencing rain static and to wait. The ground operator waited for one minute and tried to contact the Hawaii Clipper but she never responded. An attempt was made to use the Direction Finder but no signal could be heard from the aircraft. Incidentally, a A radio direction finder (RDF) is a device for finding the direction, or bearing, to a radio source. The act of measuring the direction is known as radio direction finding or sometimes simply direction finding (DF). Using two or more measurements from different locations, the location of an unknown transmitter can be determined; alternately, using two or more measurements of known transmitters, the location of a vehicle can be determined. RDF is widely used as a radio navigation system, especially with boats and aircraft. At the time of loss of contact, the Hawaii Clipper was at an altitude of 9,200 feet with solid layer of stratocumulus clouds above and solid cumulus below with moderately rough air and experiencing some rain. When the USAT Meigs arrived at the last point of communication a few hours later it reported smooth sea conditions, light winds and good visibility. Was the aircraft really where it said it was or headed in another direction? Precipitation static (P-static) is caused by aircraft in flight coming in contact with uncharged particles. These particles can be rain, snow, fog, sleet, hail, volcanic ash, dust and any solid or liquid particles. When the aircraft strikes these neutral particles the positive element of the particle is reflected away from the aircraft and the negative particle adheres to the skin of the aircraft. In a very short period of time, a substantial negative charge will develop on the skin of the aircraft. If the aircraft is not equipped with static dischargers, or has an ineffective static discharger system, when a sufficient negative voltage level is reached, the aircraft may go into “CORONA.” That is, it will discharge the static electricity from the extremities of the aircraft, such as the wing tips, horizontal stabilizer, vertical stabilizer, antenna, propeller tips, etc. This discharge of static electricity can cause certain radio frequencies to become unreliable. It would be interesting to know the solar-terrestrial data for that night. Were other stations in the western Pacific able to communicate with one another with or without difficulty. In 1938 there was an imperfect understanding of how the sun affected radio transmissions. Some bands are wide open and some are impossible. Obviously Manila was in touch with PAA 229, but how well? A VERY good idea David. Thanks! How do we know whether the modulation mode used on radio contact with the Clipper for “air to ground” communication was AM or CW ? Single Sideband or FM modes were known but certainly not being widely used for voice communcation in 1937 so the apparent quote from a PAA document that mentioned “VOICE” could only imply that a.m. (amplitude modulation, hereafter AM), was being used for flight-following contacts between Panay and Flight 229 on the vast radio network that Pan Am had built and maintained for their Pacific route. The use of AM radio could (i.e. might) have been “standard” when a Clipper was within a short range from some landing site, but surely AM would not have been ideal for long-range work on shortwave radio in my opinion. It would not be ideal for that task even in 2017. The distinction between AM and CW modulation is germane in the Clipper story because CW signals are highly reliable and not by any means as adversely impacted by static (QRN) as AM signals are–in other words, intelligibility of a message is not as degraded when using CW and it’s a HUGE operational difference besides, since abbreviations (e.g. the whole list of Q-signals) can be used when operating CW. That keeps message lengths short. CW signals are also very PENETRATING, partly because the bandwidth required for CW is much less than that required by AM signals. I tend to think CW was used by radio operators on the Clipper and that assertion is based on comments from my family over the years (remember, Mark Walker was my uncle) so pretty obviously I did not pull this notion from my lower GI tract. As well, it is proven beyond doubt that CW signals will ‘get through’ when radio propagation is weak, static is prominent, etc. That’s been true throughout the history of radio, all the way back to the pioneer days of Marconi et al. that “voice communications were NOT used by Pan Am until after 1942. . . . ” for contacts with planes on the Pacific routes. In other words, corroboration of CW use exclusively for long-range work in 1938 is a reasonable bottom line here given what I know to date. Of note, I have been a licensed pilot for 46 years and also I’ve held an FCC radio license for 60 years. I hold the highest and unrestricted license class (Extra) that can be earned by U.S. amateurs. I operate a lot using the CW mode and have made many long-range contacts over the years using shortwave frequencies–yes even when there is static– just like hundreds of thousands of other operators in many countries. Indeed, the CW mode is almost routinely necessary when attempting difficult contacts on high frequencies–still true even in 2017. CW certainly was the most reliable mode that would have been available in 1938. Little in my mind ! Zero doubt. Two questions for Guy then: (1) What was the standard radio equipment used on a Pan Am Clipper ? (2) Do you know what radio frequency was being used on the fateful day in 1938 when the final message from the Clipper was received at Panay? I have been unable to get any rock-solid research results here to date. P.S. I have had a contact with a person at HISTORY CHANNEL and gave them your name, asking that they consider doing a special on the Hawaii Clipper loss. I feel strongly that you could produce something ten times better than what we have just seen on Amelia/Fred. Don’t pass up the chance !! !